Making new fresh furniture out of reclaimed materials is our passion. Here are some of the pieces that we've made from a mixture of reclaimed and vintage pieces. If you're interested in a commissioned piece, please email us at remnantpdx at gmail dot com. We will be happy to work with you to create a custom piece! 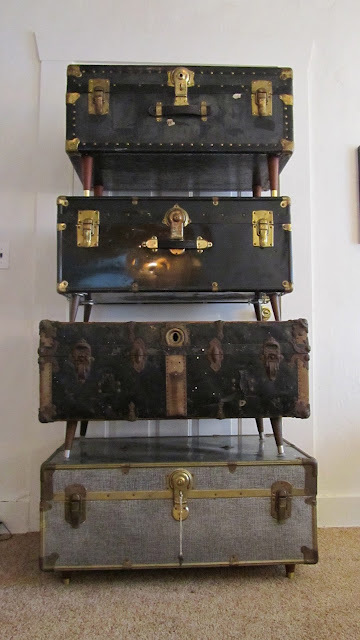 Coffee Table Trunks - turn any trunk into a table!